Every Tuesday, The Nation sends “Take Action Now,” a weekly newsletter that features three actions each week of varying time commitments. 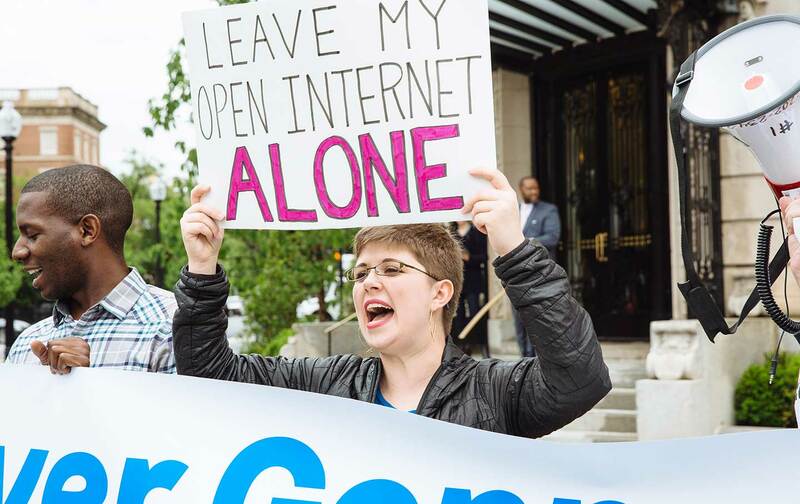 This week, you can join a “day of action” to save net neutrality, share your health-care story, and get trained in nonviolent direct action. You can sign up for “Take Action Now” here. Join the “Internet-Wide Day of Action to Save Net Neutrality.” Tomorrow, activists and big companies including the ACLU, Amazon, Reddit, Fight for the Future, and The Nation will participate in an online protest designed to get millions of people to contact both the FCC and Congress. There are two simple steps you can take to help make sure this action has a meaningful impact: 1) Tomorrow, take two minutes to write to the FCC and Congress about net neutrality. All the directions you need are at this link. 2) Sound the alarm about the day of action on social media by changing your profile picture to those available here (about halfway down the page) and letting everyone know why you did so. Share Your Health-Care Story. Americans are so enraged over Republicans’ cruel plans to take away our health care that some members of Congress are downright afraid to meet their constituents. The energy behind this fight has drawn enormous power from the countless number of families who have shared heartbreaking stories about their fears of losing insurance. Indivisible Austin, along with the Children’s Defense Fund Texas and Indivisible KC, has created a website that makes it easy to add your story. Visit protectourcare.us and you can submit a story in writing, through a photo, or by video. The team behind the website will then post it on protectourcare.us, add it to YouTube if it’s a video submission, email it to Congressional staffers and tweet it at senators. Get trained in nonviolent direct action. None of our most profound advances in social and economic rights were won without people putting their bodies on the line and disrupting business as usual. In that spirit, Greenpeace is traveling around the country to train people in nonviolent direct action. You can find a training in your area and sign up to attend here. If you don’t see a training near you, you can still learn about nonviolent direct action by downloading Greenpeace’s resource guide to planning actions in your community.